Norden Farm will play host to a celebratory concert honouring Mozarts contribution to classical music and composition. 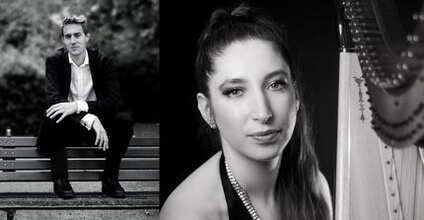 The concert will be performed by the St Johns Chamber Orchestra and will feature a number of special guests, including Jay Wilkinson on the flute, Elizabeth McNulty on the harp, Simon Watterton on piano, and baritone operatic star Ross Ramgobin. These high-calibre guest performers are guaranteed to bring an expert flair to the performances, with McNulty having previously performed at the Fabulously French concert, also at Norden Farm, and Ramgobins career being backed by the Royal Opera House. The orchestra and special guests will be conducted by Nigel Wilkinson as they perform three very different pieces from Mozarts portfolio, conveying a number of different emotions. Ramgobin expertly highlights the contrasting seduction techniques of Mozarts womanisers in the two Arias from Don Giovanni and The Marriage of Figaro. As well as these exciting pieces, the pleasant and warm feel to the Flute and Harp Concerto will leave the audience feeling relaxed and happy. Finally, the intense Piano Concerto K.450 expertly evokes an intense reaction from spectators, with its strong finale creating the atmosphere of a hunt. The concert will take place on Sunday 26th January, starting at 11:45am. Tickets range in price, from £15 per adult, £13 concession and £5 for under 16s. There is free parking on site. This is an indoor event with the Café Bar offering food and drink for guests, including a full Sunday roast. Norden Farm can be found on Altwood Road, Maidenhead, SL6 4PF.